The Occupational English Test (OET) is an international English language test that assesses the language proficiency of health care professionals who seek to register and practise in an English-speaking environment. The test is recognised by several authorities in countries like Australia, New Zealand, Ireland, the UK, Namibia and Singapore. On the OET’s website we read that this test “provides a valid and reliable assessment of all four language skills — listening, reading, writing and speaking — with an emphasis on communication in healthcare professional settings”. “OET test takers found that the relevance to their professional contexts of test topics and content […] made them feel confident about their ability to communicate effectively with patients, carers, and colleagues”. 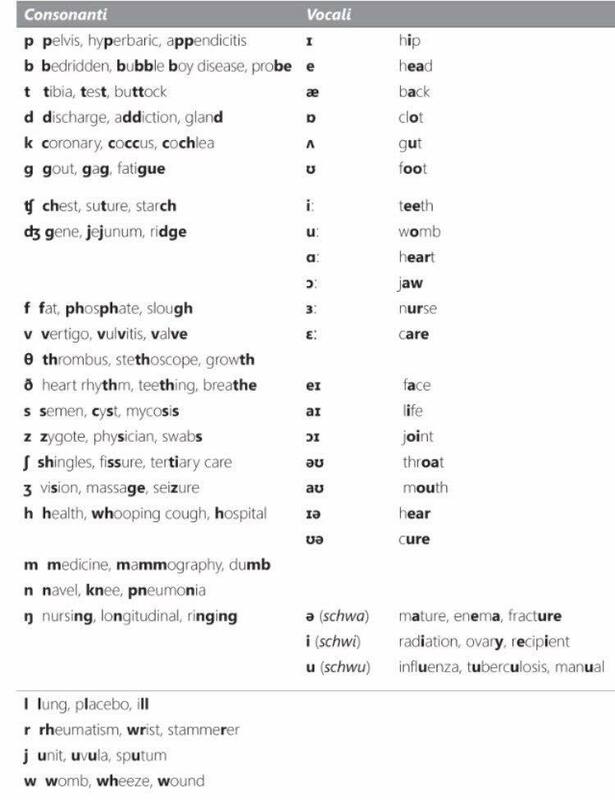 Surely, OET educators and trainers should know that their students need to master the pronunciation(s) of a great number of medical terms: teaching learners to avoid using a technical term because it is hard to pronounce is not going to help them at all. 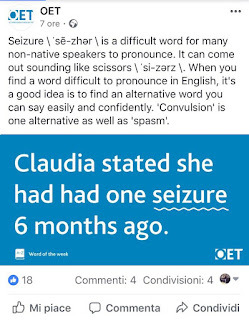 Words like seizure are going to crop up very often in conversations in clinical settings, so students must know how to pronounce it and also, must be able to recognise it in running speech. 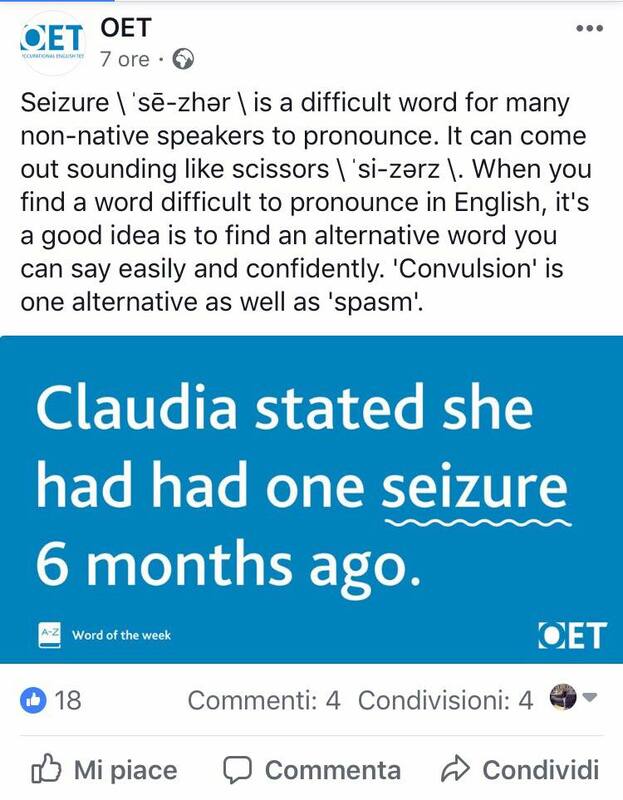 Phonetically speaking, I really don’t see why seizure would be a “difficult” word. Clearly, spasm (GB ˈspazəm, ˈspazm̩; GA ˈspæzəm, ˈspæzm̩) cannot be considered to be any easier to pronounce. Quite the contrary. It contains the tricky consonant cluster sp- at the beginning and the problematic sequence -zəm/-zm̩ at the end. For some non-natives these clusters can be quite hard to say. Think of Spanish speakers, for example, who, because their language has no onset clusters with initial /s/ and no coda clusters with final /m/, might come up with pronunciations like *eˈspazn/*eˈspazn̩/*eˈspazən: utterly incomprehensible for English native speakers! If you are a medical professional and you need to speak English at work, it is essential that you acquire a knowledge of phonetics and phonology. This might avoid you putting your patients at risk and ultimately getting you into trouble — clearly something that Dr Alessandro Teppa should have been aware of before starting practising medicine in Britain. For more on the topic of this post, see this article of mine or this other post I wrote in 2016. My Oxford Dictionary of Nursing (2014, 6th edition; OUP) offers ‘by-soh-proh-lol’ (p. 61), IPA ˌbaɪsəʊˈprəʊlɒl. This seems to be the pronunciation preferred by health care professionals in Britain. 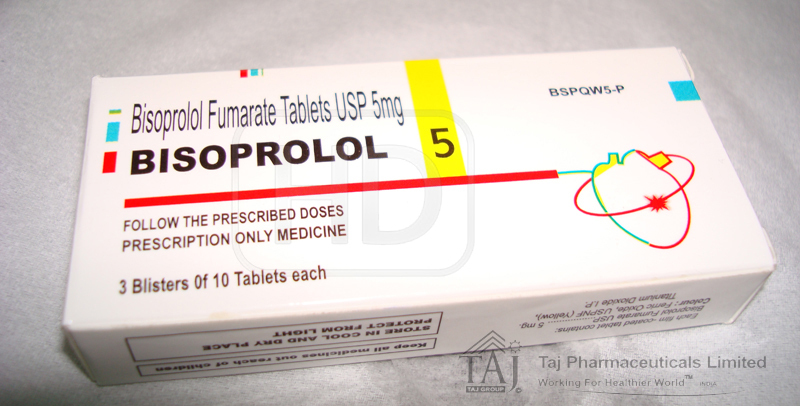 In AmE, however, other variants are used, among which you find bɪˈsoʊproʊlɑːl, bɪˈsoʊproʊlɔːl and bɪˈsoʊproʊloʊl, or — less commonly — ˌbɪsoʊˈproʊlɑːl, ˌbɪsoʊˈproʊlɔːl and ˌbɪsoʊˈproʊloʊl. Have a look at these videos here. 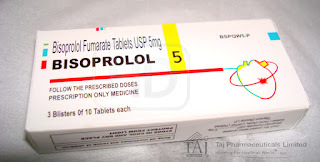 The pronunciation of bisoprolol is comparable to that of metaprolol/metoprolol, that you can read about in this blog of mine here. Routledge. The book is authored by Paul Carley, of the universities of Bedfordshire and Leicester, Inger Mees, Associate Professor in the Department of Management, Society and Communication at the Copenhagen Business School, and Beverley Collins (1938-2014), who held lectureships at the universities of Lancaster and Leiden and was Visiting Professor at Ghent University. 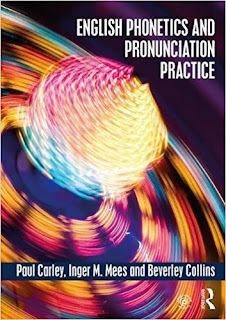 EPPP is an excellent resource book for both teachers and students, effectively bridging the gap between courses in English phonetics and those in English pronunciation. EPPP provides an up-to-date description of the pronunciation of a twenty-first-century model of educated British English, ‘General British’ (GB). Also, it demonstrates the use of each English phoneme with a selection of high-frequency words, both alone and in context in sentences, idiomatic phrases and dialogues. The book is supported by a fantastic companion website featuring 2,615 audio files, including full recordings of the examples given in the theory sections, full recordings of the practice material by a male speaker from Wokingham, Berkshire (15 hours) and a female speaker from Petersfield, Hampshire (another 15 hours), and transcriptions of all the practice material. The 30 hours of practice material recordings are in two versions: one for self-study with only minimal pauses, and one for the language lab with pauses of different lengths depending on whether it’s a word, phrase, sentence, etc. English Phonetics and Pronunciation Practice truly is the masterpiece that the English phonetics world had been waiting for! Luke Nicholson (picture left) is an experienced accent coach qualified by the International Phonetic Association and a member of both the Voice and Speech Trainers Association and the DialectCoaches Agency. Besides holding an IPA certificate, he has a BA in German Studies and Italian Studies from the University of Birmingham and an MA in Acting – Distinction in Voice and in Articulation. He has taught English pronunciation to people from over 65 different countries, including Bahrain, Ethiopia, Holland, Iran, Italy, Malaysia, Russia, Serbia, Thailand, Venezuela and Zimbabwe. 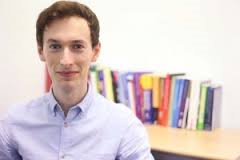 He recently launched an online British English pronunciation course which includes in-depth information on the vowel and consonant sounds of English as well as the main features of connected speech, stress, rhythm, intonation and voice quality. You can take a look at the contents page here. The course is just excellent and a wonderful resource for anyone with an intermediate/advanced level of English who’s interested in improving their pronunciation as well as their listening skills. The course starts with six introductory lessons. After completing them, you’re immediately directed to the language guides section of the course, where you can choose your native language and study the sounds that will make the biggest differences to your accent. What is so helpful about this course is that it also contains numerous relevant links to native speakers to listen to, as well as suggestions of TV shows and films to watch. Additionally, the learner has clear guidance about how to practise, how to know if they’re making a sound accurately, and how to incorporate new sounds into everyday speech. Here’s one of the videos from the course about the schwa vowel. Luke is also the author of two carefully planned and extremely useful freely available sound charts: the consonants chart and the vowels chart of Standard Southern British English (= General British). These are clickable charts which enable you to listen to recordings of the sounds of English as spoken by the author himself. At the bottom of the charts one finds questions about phonetic symbols and the realization of certain sounds to which detailed answers are provided which the reader will find extremely useful. Another highly recommendable resource for students (and teachers!) of British English pronunciation. 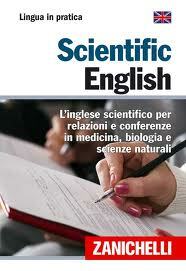 The book you can see to the right is called Scientific English and was brought out by Zanichelli in 2007. 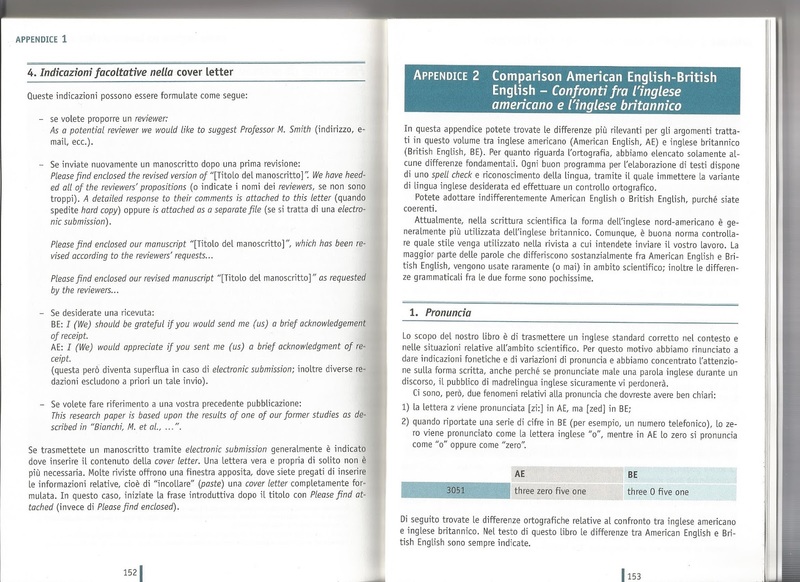 It is essentially a guide containing tips and resources for those Italians who want to know more about how to write scientific papers in English. It deals with abstracts, journals, keywords and phrases commonly used in medical English, as well as with oral presentations. This is just absurd! How could the author have possibly written this?! 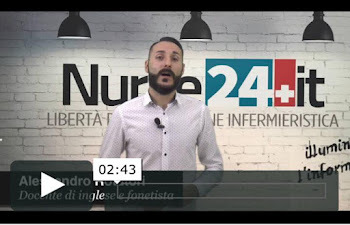 I’ve been teaching English phonetics to health care professionals both at the University of Tor Vergata and the Nursing Board of Rome (OPI) for several years now and I know how vital it is for my students to be able to master pronunciation in English. My experience with doctors and nurses has also led me to write two books on the importance of English pronunciation in medical science. 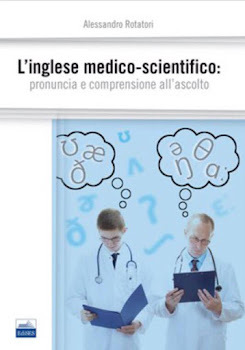 Please see my L’inglese medico-scientifico: pronuncia e comprensione all’ascolto (EdiSES, 2014) and my Health Care Professionals Speaking (EdiSES, 2015). For further info, also check this link. "Much would be accomplished if medical school staffs emphasized orthoepy more" (Bradford N. Craver, Wayne University; Science, New Series, Vol. 96, No. 2490, Sept. 18, 1942, p. 273). Some days before the UK’s EU referendum, Cambridge Dictionaries Online published an article on their blog About Words entitled European Union – in or out? The language of the UK’s referendum. The article, written by lexicographer Liz Walter, is essentially aimed at teachers and students of EFL who want to improve their knowledge of the language or use classroom material that is ‘original’. 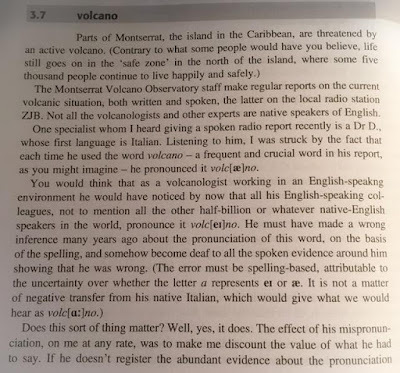 The passage Cambridge offer online is extremely useful for foreign learners of English, and I thought it might be a good idea if readers could be provided with a (mainly) phonemic transcription of it as well. So what you’ll find below is the full text of the article linked to above completely transcribed in IPA, representing the way I would pronounce it myself in General British (GB) and using the symbols found in the new edition of Alan Cruttenden’s Gimson’s Pronunciation of English (2014, Routledge). A note of caution: although all of the pronunciations represented below can be regarded as belonging to GB, they are not always recommendable to the EFL teacher as these may sometimes have distinct disadvantages for the student to copy. ɒn ʤuːn ðə twentiθɜːd, brɪtn̩ wl̩ dəsaɪd weðər ɔː nɒt tə rəmeɪn pɑːt ə ðə jɜːrəpiːən juːnjən (iːjuː). aɪm mɔː ðn̩ hapi tə bɔː frenz wɪð maɪ əʊn vjuːz ɒn ðə sʌbʤekt, bəʔ ðə pɜːpəs ə ðɪs pəʊst ɪs sɪmpli tə haɪlaɪʔ ðə laŋɡwɪʤ əv ðə dəbeɪt. ðə prəsaɪs kwesʧn̩ wɪl bi ɑːnʦrɪŋ ɪz: 'ʃʊd ðə junaɪtɪd kɪŋdəm rəmeɪn ə membrə ði jɔːrəpiːən juːnjən ɔː liːv ði jɔːrəpiːən juːnjən? ', ən ni ɑːnʦə wl̩ bi disaɪdɪd ɪn ə refrendəm (ə naʃnəl əlekʃn̩ ɪm wɪʧ iːʧ pɜːsn̩ haz wʌm vəʊt). ɔːl sɪtɪzənz əv brɪʔn̩, ɑːlənd ən ðə kɒmənwelθ (kʌntriz ðəp bəlɒŋ tə ðə brɪtɪʃ empɑːr ɪn ðə pɑːst ən stɪl hav ə kləʊs rəleɪʃn̩ʃɪp wɪð ðə juːkeɪ), kʌrənli lɪvɪŋ ɪn ðə juːkeɪ kəm vəʊt. ɪn ədɪʃn̩, juːkeɪ naʃnl̩z lɪvɪŋ əbrɔːd kən vəʊt ɪf ðeɪv bɪn ɒn ði əlektrl̩ reʤɪstə (əfɪʃəl lɪst əv piːpəl əntaɪtl̩ tə vəʊt) ɪn nə lɑːs fɪftiːn jɪːz. səʊ wɒt ə ði ɪʃuːz kənektəd wɪ ðɪs dəsɪʒn̩? fɜːsli, ði iːjuː ɒpəreɪʦ əz ə sɪŋɡl̩ mɑːkɪt. sentrl̩ tə ðɪs aɪdɪːr ɪz ðə friː muːvmənt əv ɡʊʣ m̩ wɜːkəz bətwiːn iːjuː kʌntriz. ðɪs miːnz ðəʔ wɜːkəz frm̩ kʌntriz wɪθ haɪ reɪʦ əv ʌnɪmplɔɪmənt kən muːv tə kʌntriz wɪð mɔː ʤɒbz. kɒnʦəkwəntli, ðə kwesʧən əv ɪməɡreɪʃn̩ ɪz wʌn ðət ɪz ɒftən dɪskʌst. ɪn ðə juːkeɪ, ðə haz bɪn pətɪkjələ dibeɪt əʊvə welfɛː peɪmənʦ (mʌni frm̩ ðə ɡʌvəmənt) tu ɪməɡrənʦ. ənʌðə bɪɡ ɪʃuː ɪs sɒvrənti (ðə raɪt əv ə kʌntri tə disaɪd ɪʦ əʊn lɔːz). meni piːpl̩ hu feɪvə breksɪt (ə kɒmən, ɪmfɔːml̩ wɜːd fə brɪʔn̩z eɡzɪt frm̩ ði iːjuː), seɪ ðeɪ dəʊn wɒnt ɑː kʌntri kəntrɒʊl frm̩ brʌsl̩z. breksɪtəz ɔːsəʊ friːkwənʔli menʧən ðə bjɜːrɒkrəsi (əfɪʃl̩ ruːlz), mɔːr ɪmfɔːmli kɔːld red teɪp, ðəʔ ðeɪ bəliːv ði iːjuː brɪŋz. ðeɪ ɔːlsəʊ seɪ wi ʃəd hav fʊl kəntrɒʊl əv ɑː bɔːdəz (dəsaɪd huː kŋ̩ kʌm ɪntə ðə kʌntri). ðəʊz ɪm feɪvrəv steɪŋ ɪn kleɪm ðəʔ ði iːjuː əz brɔːt əs meni ɡʊd lɔːz, ɪspeʃli kənsɜːnɪŋ ɪmplɔɪmənʔ standəʣ n̩ ði ɪmvɑːrəmmənt. ðeɪ seɪ ðəʔ jɔːrəps ɑː meɪn treɪdɪŋ pɑːʔnə, ən ðət ɪf wi left jɜːrəp, wi wəd luːz ə lɒt əv ɑːr ɪnfluənʦ. wi wəd haftə nɪɡəʊʃieɪt ə njuː treɪdɪŋ rəleɪʃn̩ʃɪp, əm maɪt iːvən end ʌp ɪn ə treɪd wɔː wɪð jɜːrəp. ðɪs kəd əfek bəʊθ ɪmpɔːʦ ən ekspɔːʦ əm wi maɪt haftə peɪ ə tarɪf (taks) ɒm bəʊθ. ðeɪ ɔːsəʊ kleɪm ðəʔ ði iːjuː həz help tə meɪnteɪn piːs ɪn jɔːrəp. bəʊθ saɪʣ ɑːɡjuː əʊvə ði ɪmpakt ɒn (kɒnʦɪkwənʦɪz fɔː) ʤɒbz. ðərə meni ʌðə kɒmpleks ɪʃuːz kənektɪd wɪð ðə juːkeɪz membəʃɪp əv ði iːjuː. ɪn θiːəri, ðə juːkeɪ pɑːləmənt dʌzn̩ haftu əksep ði aʊʔkʌm (rəzʌlt) əv ðə refərendəm, bəʔ ðɛːr ʌnlaɪkli tə ɡəʊ əɡens ðə wɪl ə ðə piːpl̩. pɒʊlz ə kʌrənli ʃɜːɪŋ ə fɛːli iːvn̩ splɪt (ðə seɪm nʌmbər əv piːpəl ɒn iːʧ saɪd), səʊ wəl haftə weɪt əntɪl ʤuːn ðə twentifɔːθ tə nəʊ ɑː fjuːʧə. 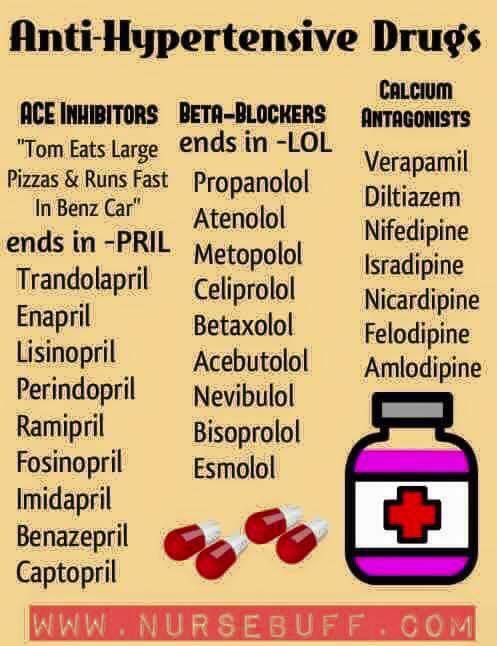 "When my cardiologist started me on a drug called amiodarone, he pronounced it ˌæmiˈɒdərəʊn, and that's what my GP said, too. But shortly afterwards I went for a blood test. The phlebotomist called it ˌæmiˈəʊdərəʊn. So should it be ɒ or əʊ? A short o or a long one? Who cares? 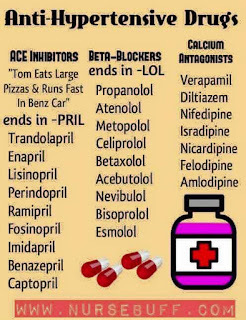 The spelling's the same, which is what matters for the pharmacist who has to dispense it." How do you say, for example, diltiazem? I'm pretty sure both native speakers and non-native speakers of English will find it difficult to answer this question. As you can see from this link, Wikipedia has dɪlˈtaɪəzɛm (= dɪlˈtaɪəzem), as do Forvo and Merriam-Webster Online. 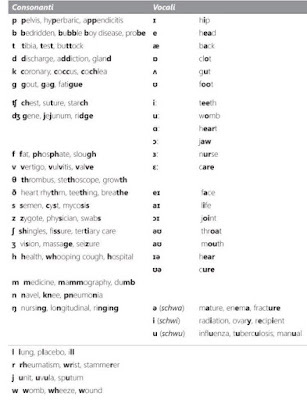 But my Dictionary of Nursing (Adams et al (2007), A & C Black) and my Dictionary of Medical Terms (Bateman et al (2004), A & C Black) say we should pronounce it as dɪlˈtaɪəzəm. In the Oxford Dictionary of Nursing (Martin (2014), OUP), on the other hand, the only pronunciation provided is dil-ti-ă-zem (= ˈdɪltiəzem). "[a]s with so many learned, scientific or technical words, the spelling is fixed while the pronunciation fluctuates. (...) That's because instead of hearing other speakers and imitating what they say, we often create a pronunciation for ourselves on the basis of the spelling, using the reading rules of English, which are notorious for their uncertainty." 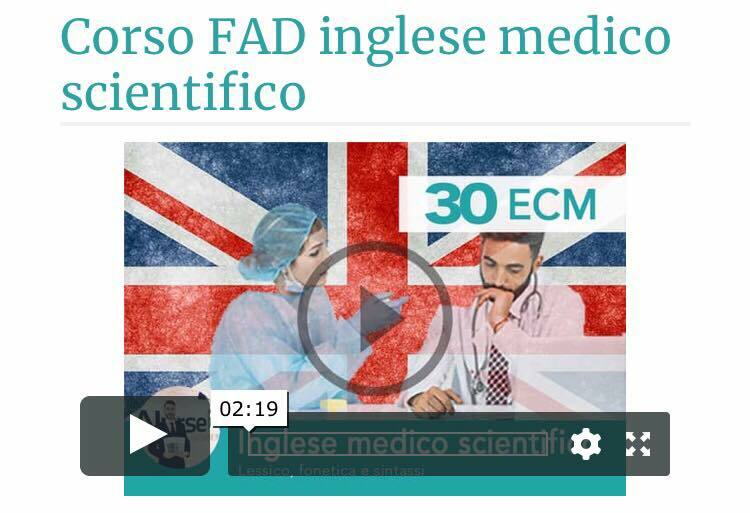 Italian-speaking members of the clinical professions intending to work in the health care sector with English-speaking patients can find information on the pronunciation of medical terms (including medications) in my two books L'inglese medico-scientifico: pronuncia e comprensione all'ascolto (2014, EdiSES) and Health Care Professionals Speaking (2015, EdiSES). I'm a pronunciation lexicographer and phonetician of English. 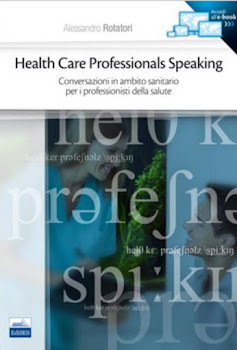 I'm currently Lecturer in English Phonetics and Medical English at the Nursing Board of Rome (OPI), and Lecturer in English Language at the Saint Camillus International University of Health and Medical Sciences in Rome. I've authored books on medical English pronunciation and am now writing a pronouncing dictionary of contemporary British and American English for medicine and nursing. I have over 10 years of teaching experience and have taught on the Summer Course in English Phonetics (SCEP) at University College London (UCL). My curriculum vitae in English. My curriculum vitae in Italian. 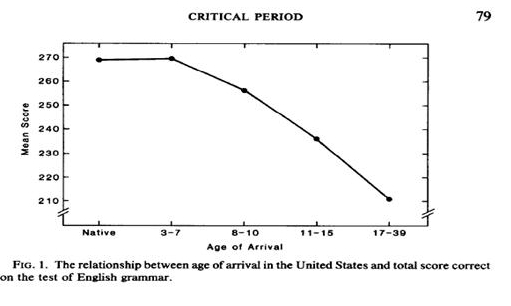 Why should we teach English phonetics and phonology? /ri/ - /rɪ/ - /ri:/? Copyright © 2010-19 Alex's Phonetic Thoughts. Simple theme. Powered by Blogger.